I found myself startled when I started to research Glaswegian actors, the pure volume of hits was crazy – not to mention the big names I found. One of the most well known probably being James McAvoy star of movies such as ‘X-men: First Class’, ‘Wanted’ and ‘The Last King of Scotland’. McAvoy got his international break when he appeared as Mr. Tumnus in ‘The Chronicles of Narnia: the Lion, the Witch and the Wardrobe’ with roles coming thick and fast after it was released. James McAvoy grew up in Drumchapel and studied at the Royal Scottish Academy of Music and Drama (which I drive by on a daily basis). In June last year crowds filled the streets of Glasgow to see James carry the Olympic torch through his hometown and it was clearly a very proud moment for him, even compared to the many other monumental moments such as winning Baftas and awards from the Cannes Film festival. He is currently working on multiple roles including a ‘X-Men: Days of Future Past’ and he stars in ‘Welcome to the Punch’ as Detective Max Lewinsky, released this coming Friday (March 15th 2013). For a boy from our city, he has clearly done well, from his success in movies to being chosen as one of People Magazines ‘Sexiest men alive’, James McAvoy does Glasgow proud. Did you know? 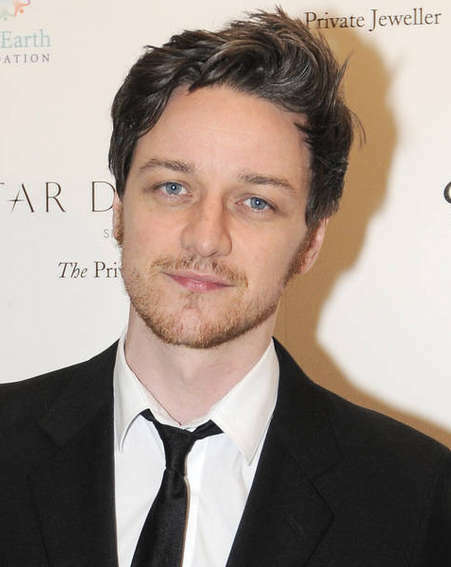 !- James McAvoy is a Celtic Supporter. Billy Connolly – Actor, Comedian, Musician. I doubt there is a Glaswegian alive that doesn’t know of ‘The Big Yin’ – Billy Connolly, and his numerous talents. I have plenty of fond memories of watching his videos and DVDs in my dads living room with the McGinley clan, giggling at his use of all those bad words. And there were a lot of them, believe me. At six I remember watching him in ‘The man who sued God’ and as my dad told me that he was ‘brought up just down the road’ I gazed at him in wonder. While best known for his stand up Billy Connolly has stared in numerous movies, from kids movies like ‘Pocahontas’ and ‘Brave’ to those more for for an older viewing audience, like ‘The X-files- I want to believe’ (he’s met Mulder *swoon*) and ‘The last Samurai’ , working alongside Tom Cruise. I personally look forward to seeing Billy Connelly in the upcoming Hobbit films that he is working on just now, one scheduled to be released later this year. In July 2001 Billy Connolly received an honorary doctorate from the University of Glasgow and he was awarded the CBE from the queen in 2003. It’s amazing to think that this man, known and loved worldwide, has a net worth of approximately $20 million and yet was ‘brought up just down the road’. Billy Connolly genuinely cares about Glasgow, and even though he moved to America it wasn’t long before he had to return home.